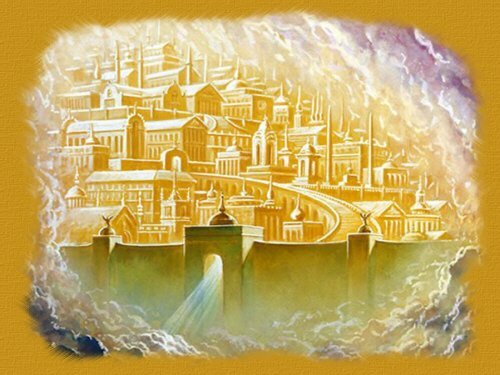 I am delighted about this video animation on Work as Worship that you can find here. It is an excellent video tool to teach us a truth that we are all equal before God and that our lives are on mission all the time. Check it, will be no regrets (and by the way it is not about worshiping work :). 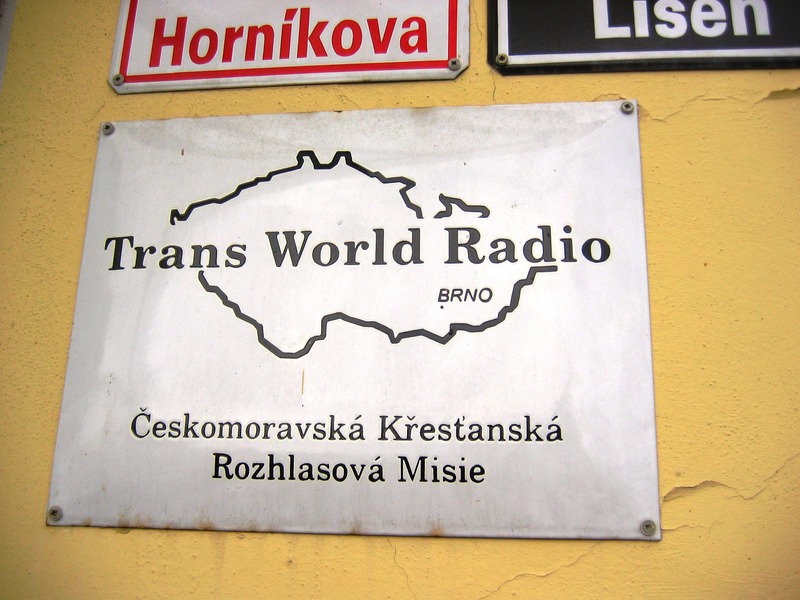 A few years ago TWR-CZ from Brno (their site is in Czech, English, German, Russian and French) TWR’s National Partner in Czech Republic created a small PR tool: a beer mug coaster. Coasters are always needed in restaurants and bars. Furthermore, they are small enough to be taken home in a pocket or handbag. And most important of all, every customer looks at their coaster several times – at least when they set down their drinks. This is a smart idea for a country that excels in beer brewing and that for centuries. Another text, next to a red light box that turns on when studio is in session says: “We run on red,” also playing with the fact that the ad will be seen mostly by drivers in cars behind this bus. Yet another smart idea. 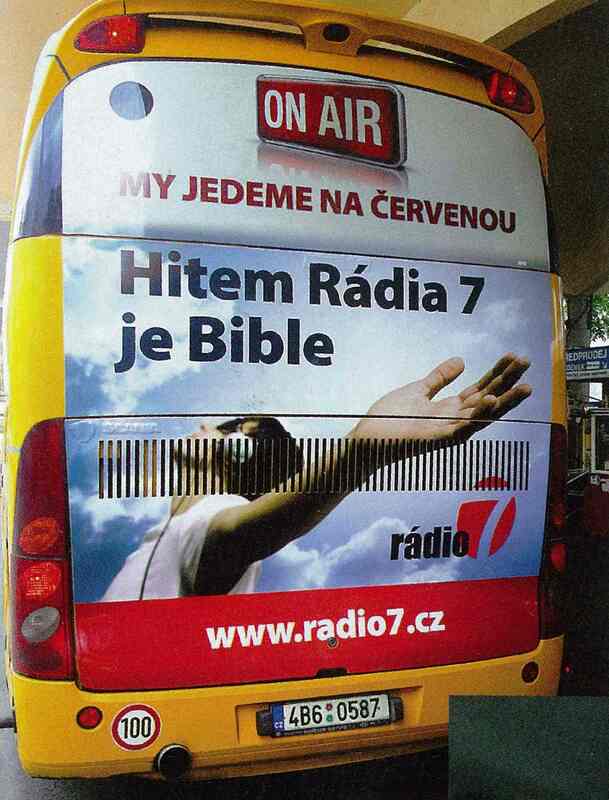 Radio that does not think for you is having the Bible as their (music) hit! Check this link. Categories: Travels around and beyond CE | Permalink. Two weeks ago, in Germany, there was the General Assembly of the European Evangelical Alliance for 2012 taking place: Gorgeous location, excellent speakers and presenters, beautiful people. I was there as a representative of TWR Europe, associate member of the EEA. There were some very good topics covered, but one got my full attention – Christians in Europe: public life. It was Os Guinness who spoke on the issue of religious rights being the most important (first freedom he said) freedom of all. Why? Three quick reasons: logically, religious liberty is prior to other political rights – freedom of speech, and freedom of assembly. You only want to get together (freedom of assembly) with people to whom you want to say something. Freedom of assembly assumes freedom of speech. Equally, freedom of speech assumes freedom of conscience. You want to speak of things that matter to you based on the dictates of conscience. Religious liberty, freedom of conscience, is the first liberty. It is not liberty for the religious. It is the primary human right. Secondly, religious liberty is the key to civil society. We understand today societies are healthy if average citizens can join – volunteer, give, participate – a civil society, and civil society flourishes when religious liberty flourishes and people are free to do that. Thirdly, freedom of conscience is fundamental to social harmony. The challenge today is to maintain diversity. The challenge today is to have diversity and to create harmony but also to create liberty. And the key to that is religious liberty or freedom of conscience. 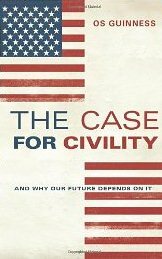 Os also wrote on this in his books: The Case for Civility, or The Last Christian on Earth. Interesting indeed. What do you think about religious liberty for all? A few days ago our family was having some vacation days in the White Carpathian Mountains, in the Czech-Slovak border region, one hour drive north of Bratislava. During one of the days we went to Stara Tura, a lovely and historical town and saw a decent crowd at its main square, TV crew, some officials speaking in front of a covered bust. Then, in the crowd, we saw some familiar faces from one of Bratislava churches and realized this was not only just a public event, but a commemoration of one great Slovak, prof. Jozef Rohaček, and his work. Prof. Rohaček (1877-1962) was born in Stara Tura, but lived and worked in Slovakia, Hungary, Austria, and nowadays Serbia, in Vojvodina. As a Lutheran missionary, later pastor and teacher, he spent five years in Kisač and surroundings, teaching Slovaks to write and read in their mother tongue, from 1906-1911. Also, while in Kisač, he published the first ever Slovak translation of the Gospel of Mark in 1910. The whole Bible was published in 1934, and was translated from the original languages. His church, however, did not endorse his work… but when the Bible was printed eventually, the first 5,000 copies were sold in less than four months. 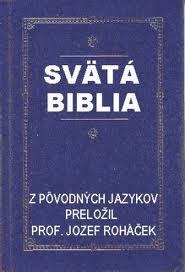 Such was a hunger for the Word of the Lord in Slovak language. Our family felt honored that we, even accidently, participated in such a spiritual and public event. Far too often in Europe, Christians are being pushed aside, even if they contribute to the society as a whole. I wish you a nice Reformation Day.